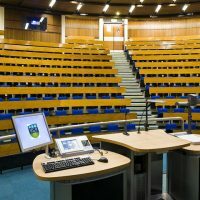 UCD is Ireland’s largest university with almost 25,000 students. It is one of Europe’s leading research-intensive universities, offering a wide range of undergraduate programmes, postgraduate masters and PhD training. 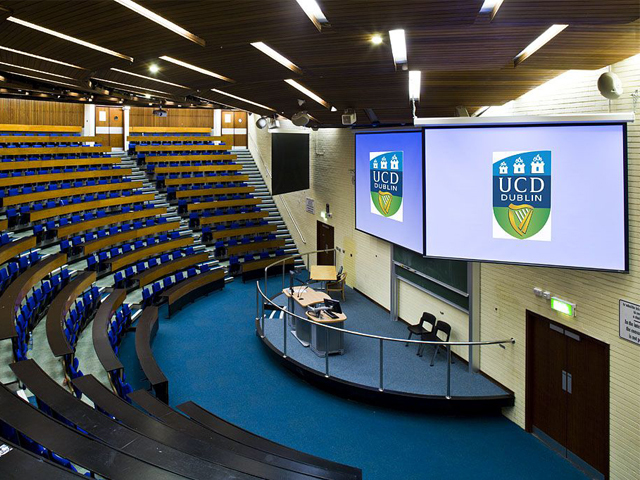 Image Supply Systems has provided audio visual supply and support services to UCD for over 11 years. 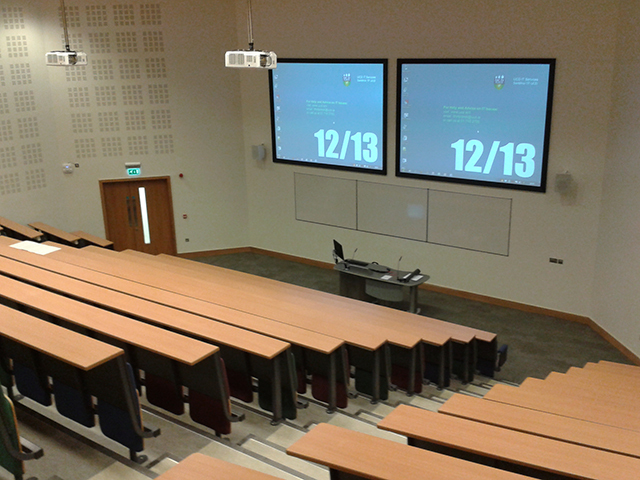 We supply and install audio visual equipment for Colleges and Schools throughout the University and have assigned a dedicated onsite engineer team to carry out technical support and pro-active maintenance services in the Belfield campus during college terms since 2008. 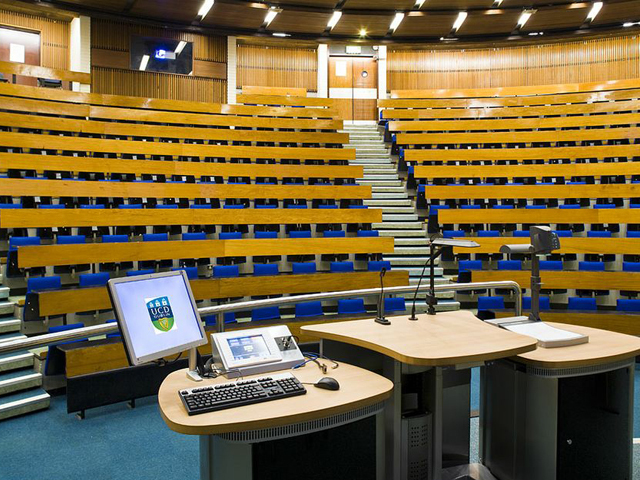 We have worked on a series of projects that form part of the UCD campus development plan. 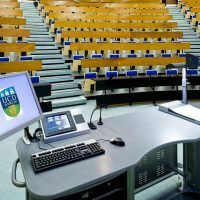 This includes the upgrade and standardisation of teaching technology in shared teaching spaces such as The Health Science Building, Daedalus Building, Newman Building, Agriculture Building and School of Physics. I have found their staff to be flexible and responsive. They appear to be well trained and creative when it comes to providing solutions. I also value the accessibility and consistency of their management team. 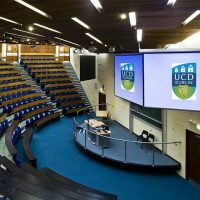 As part of the University’s move towards a single AV room control management system we were appointed to implement a Crestron Room View solution in major lecture theatres and all new rooms since 2008. 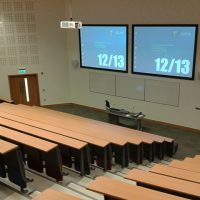 Onelan digital signage systems have been installed throughout the campus, which cater for display of location-specific content over a networked, centrally controlled system. All systems have been installed to meet key requirements of standardization, enhanced continuity of availability, simplification of user interface and tamper proofing. Only equipment brands and models that are proven to be robust and highly reliable are selected for installation. This is critical for intense usage in a university environment. In line with standardization, consistent models are installed whilst utilising upgrades in specification e.g. improved energy efficiency. 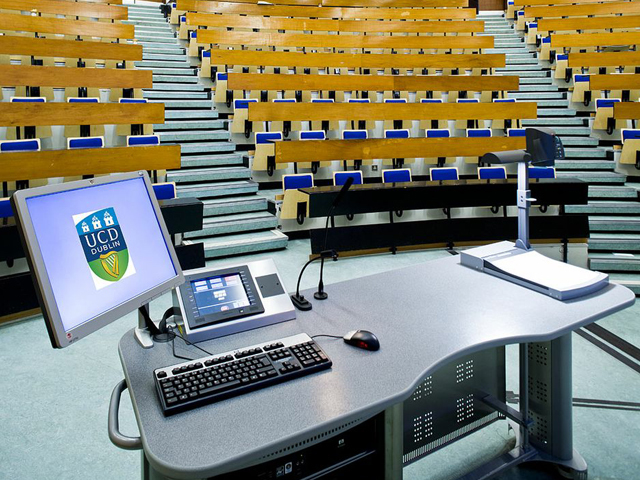 Custom-built TeamMate lecterns, tailored for specific University requirements, have been installed. System interfaces are designed for intuitive usage so that all users can control presentations with greatest ease. Installation configuration and equipment positioning is designed to minimise risk of tampering. Suitable locks and anti-theft devices are fitted for optimum security. Our dedicated onsite AV support team carries out routine equipment checks throughout the Belfield campus on a daily basis thus reducing risk of equipment failure. Users receive swift response to technical support requests. Engineers are deployed quickly to resolve issues, minimizing disruption to lectures and presentations.